in Kyushu (southern Japan) during the Edo Period. 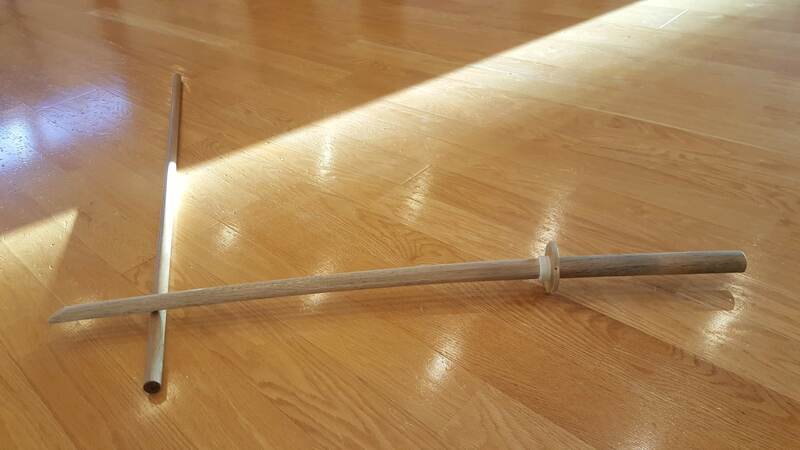 A 400+ year old Japanese martial art based on the sword and 4′ staff, primarily used by the Samurai police of the Kuroda han in Kyushu (southern Japan) during the Edo Period. 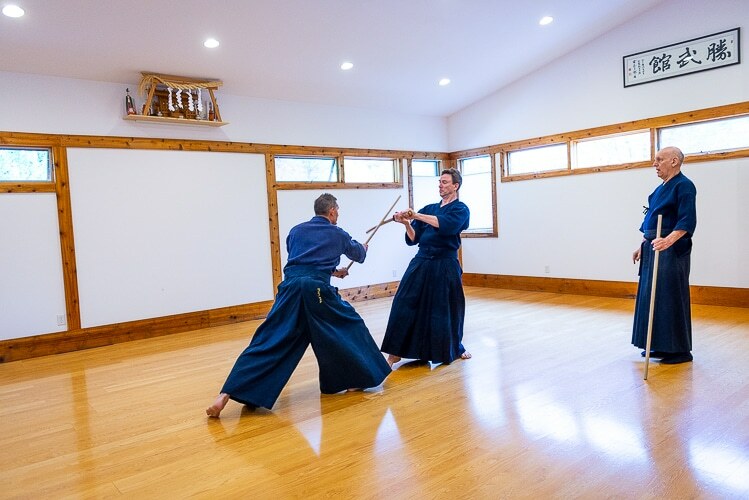 At Shobukan Dojo | Foothills Budokai we study the classical Japanese martial art of Shinto Muso Ryu Jo 神道夢想流杖 . 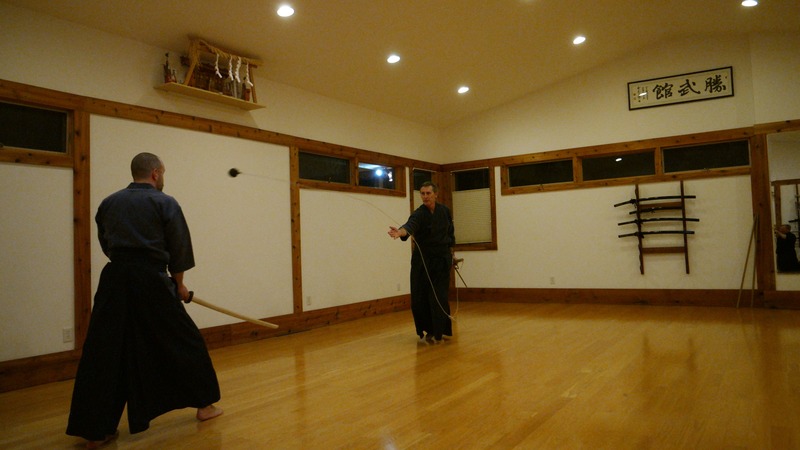 This martial art, called ‘Jo’ (or ‘Jodo’, ‘Jojutsu’), is centered around the use of the Japanese Sword and 4′ Staff. 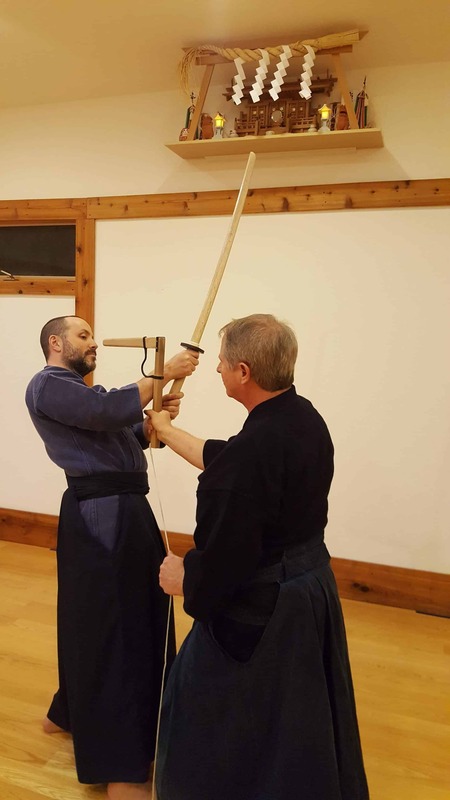 Often called ‘The Way of the Staff‘, this martial art was created with the purpose of defeating a swordsman in combat using the Jo, with an emphasis on proper distance, timing, accurate targeting, and concentration. This school was founded sometime around 1605 by Muso Gonnosuke Katsuyoshi, a warrior of the Tenshinsho-den Katori Shinto Ryu and Kashima Jikishinkage Shinto Ryu. Legend tells us that Jojutsu was created as the result of a duel with the famous swordsman Miyamoto Musashi. Gonnosuke, as a swordsman, was participating in ‘musha shugyo’. This involved traveling around Japan studying various martial arts and engaging in duels in an effort to improve his technique. Gonnosuke was reputed to be a very skilled swordsman and never defeated until he met Musashi. His first duel with Musashi ended in defeat, but luckily Musashi spared his life. In an effort to understand his weaknesses, he retreated to a shrine, Kamado Jinja on Mount Homan near Dazaifu in Kyushu, to engage in meditation and austere training. Finally he had a vision that laid before him the use of a short staff (about 4 shaku 2 bu 1 sun: 128 cm) as a remarkably flexible weapon. Jojutsu combines the striking motions of the Sword, the thrusting motions of the Spear and the sweeping motions of the Naginata. Legend also tells of Gonnosuke’s eventual rematch with Musashi. In this encounter Gonnosuke, using his Jo, defeated Musashi’s two sword style (with its signature block called ‘Juji dome) and spared Musashi’s life (legend says this was Musashi’s only defeat). Doing so demonstrated Jojutsu’s considerable flexibility in providing a range of response to an attacking swordsman. The Jo has no blades, no kissaki, nor hilt. Conversely, it can be all blade, with kissaki and a hilt, freely interchangeable. With skill the person wielding the Jo can strike, sweep, and thrust using both ends, making rapid use of its length. Shinto Muso Ryu Jo is comprised of 64 kata (pre-set forms of movement) that are highly refined combative movements. 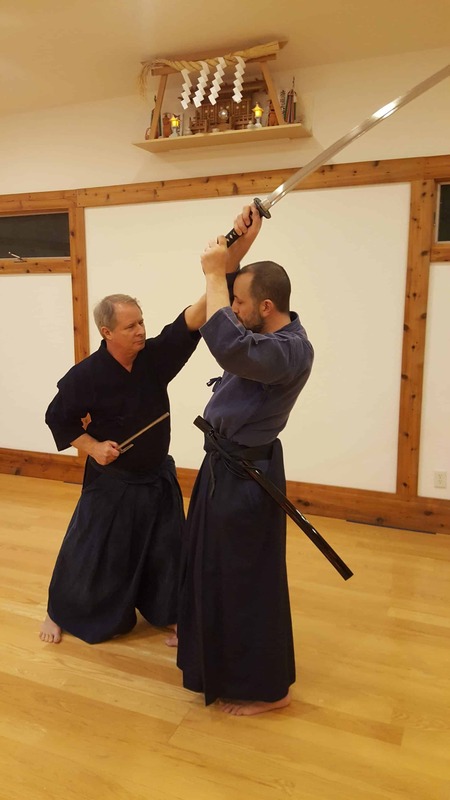 Through physical training in these kata movements, trainees develop an understanding of use of weapons – both Jo & Tachi (sword), a focused mind, and the psychological strength that is necessary to maintain their presence under stressful training situations. 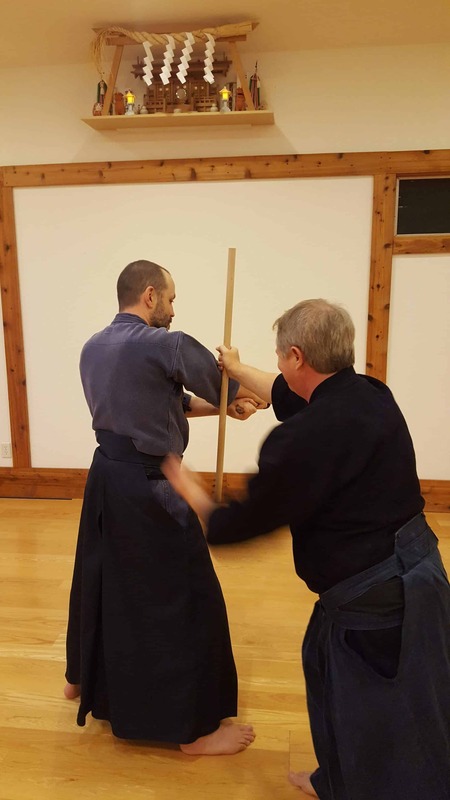 High conduct of ethics and integrity are expected throughout the training, by following ‘reishiki’ (protocols of formality) as the techniques of Jo & Sword are from times in Japan where the Samurai warrior class still ruled the country (Edo period: 1603-1868). These dangerous times in Japan gave rise to a very defined sense of formality and order in that society, and that is reflected in many Koryu martial art schools that survive today. This serves to provide a safe structure for the training environment in the Dojo. 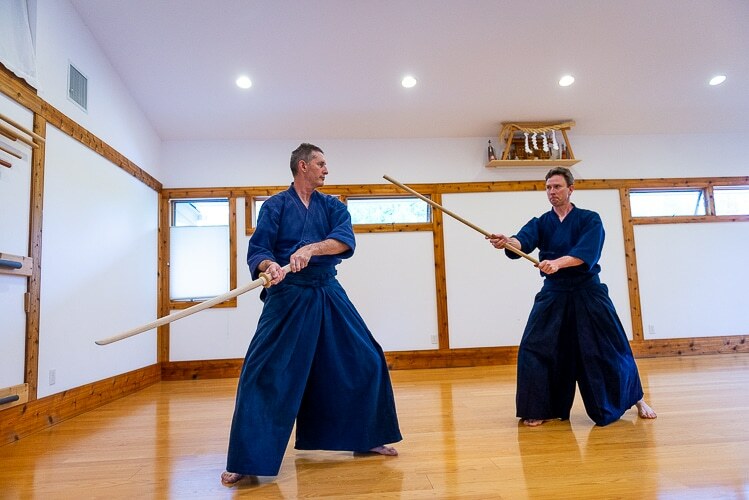 The Koryu that is Shinto Muso ryu is also spiritual path, through honoring relationships with teachers (present & past) and fellow trainees, supporting one another’s training efforts, we become a link in a long chain of this school of Shinto Muso Ryu. Without a proper mind the martial arts are nothing but brutal power that has no place in modern times. Many great teachers of Shinto Muso Ryu use the sayings: ‘Onko Chishin’ ( 温故知新 ), and ‘Keiko Shou Kon’ ( 稽古昭今 ) , which mean ‘learn and reflect deeply on the past, and let it shine a path for us in present times’. 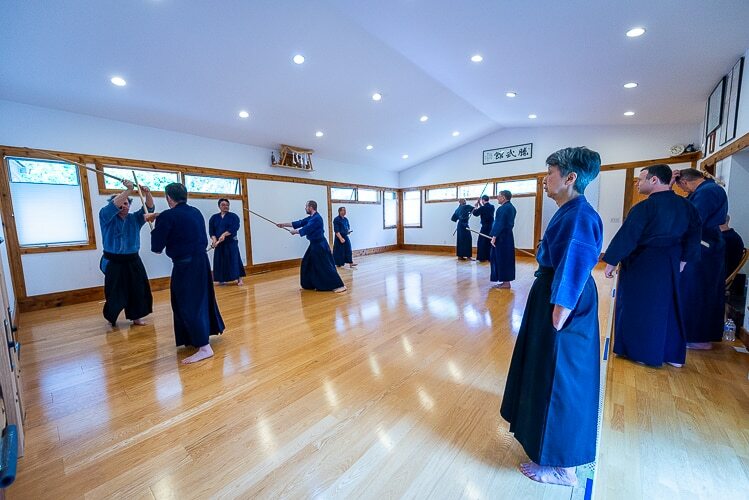 The heart of Shinto Muso Ryu Jo lies in the pursuit of self-refinement of mind and spirit, through rigorous training under physical and psychological tensions. 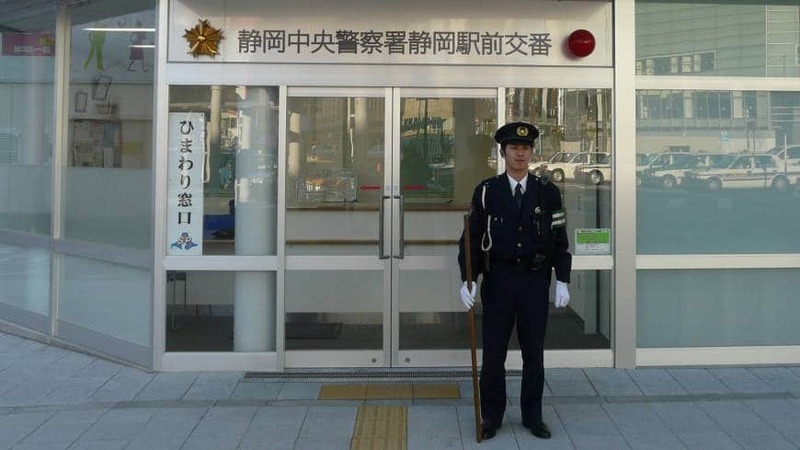 The Kuroda clan recognized the staff as a useful weapon for their local Military Police/Constabulary, in that it provided this flexible range of responses to armed threats. Of which there were plenty during the Edo period. Gonnosuke was asked to become a martial arts instructor for the Kuroda domain. Jojutsu was developed as an exclusive (otome waza) martial art among those Samurai who made up the Kuroda Police. It was kept a closely held secret and not introduced to the public until sometime in the early 1900’s. It is important to keep in mind that development of Shinto Muso ryu Jo was dynamic and ongoing through the Edo period in Japan (1603-1868). The need for a Police force in Kuroda han/Kyushu remained high as these times were still turbulent and dangerous. Japan was becoming a more peaceful society, but that did not come fast or easy. The social fabric had changed significantly after Tokugawa Ieyasu unified Japan in 1600 after the battle of Sekigahara, mostly large scale war ended and rigid regulations were put into place to control this society. But rigid control produced social tensions throughout the Japanese society that required an active and skilled Police force. Eventually Jo techniques were incorporated by the Tokyo Metropolitan Police and the Kidotai (Riot Police) in the 20th century, under the direction of Shimizu Takaji, as a non-lethal tool for Law Enforcement. A 400+ year old Japanese martial art based on the sword and 4′ staff, primarily used by the military police of the Kuroda clan in Kyushu, southern Japan, during the Edo period (1600-1878). Legend tells us that Jojutsu was created as the result of a duel with the famous swordsman Miyamoto Musashi. Gonnosuke, as a swordsman, was participating in ‘musha shugyo’. This involved traveling around Japan studying various martial arts and engaging in duels in an effort to improve his technique. Gonnosuke was reputed to be a very skilled swordsman and never defeated until he met Musashi. His first duel with Musashi ended in defeat, but luckily Musashi spared his life. In an effort to understand his weaknesses, he retreated to a shrine, Kamado Jinja on Mount Homan near Dazaifu in Kyushu, to engage in meditation and austere training. Finally he had a vision that laid before him the use of a short staff (about 4 shaku 2 bu 1 sun: 128 cm) as a remarkably flexible weapon. Jojutsu combines the striking motions of the Sword, the thrusting motions of the Spear and the sweeping motions of the Naginata. The Jo has no blades, no kissaki, nor hilt. Conversely, it can be all blade, with kissaki and a hilt, freely interchangeable. With skill the person wielding the Jo can strike, sweep, and thrust using both ends, making rapid use of its length. Shinto Muso Ryu Jo is comprised of 64 kata (pre-set forms of movement) that are highly refined combative movements. 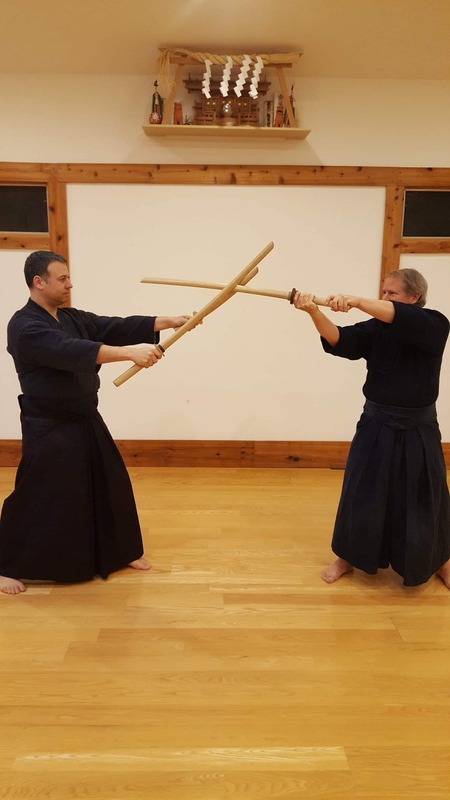 Through physical training in these kata movements, trainees develop an understanding of use of weapons – both Jo & Tachi (sword), a focused mind, and the psychological strength that is necessary to maintain their presence under stressful training situations. The Kuroda clan recognized the staff as a useful weapon for their local Military Police/Constabulary, in that it provided this flexible range of responses to armed threats. Of which there were plenty during the Edo period. Gonnosuke was asked to become a martial arts instructor for the Kuroda domain. Jojutsu was developed as an exclusive (otome waza) martial art among those Samurai who made up the Kuroda Police. It was kept a closely held secret and not introduced to the public until sometime in the early 1900’s. Heiden Bujutsu ( 併伝武術 Associated Martial Arts passed down together with…. sometimes called ‘Fuzoku ryuha’) – In addition to the core skills of Staff and Sword, Shinto Muso Ryu came to incorporate a number of related martial arts that served to enhance the effectiveness of the Kuroda military police. These arts are gradually taught as a student becomes more experienced in the primary skills of this school’s Jo/staff and Tachi/sword. Swordsmanship, Short Staff, Sickle & Chain, and Truncheon.